(SACRAMENTO) – Brian Murphy, an accomplished ProStart® culinary arts teacher at San Diego High School, has been chosen as the 2019 Educator of Excellence by the California Restaurant Association Foundation. This prestigious award is given once a year to just one California educator who is chosen from a long list of culinary arts instructors teaching in high schools all over the state. Among Murphy’s numerous accomplishments is his expansion of the San Diego High School culinary program. It now boasts ten class sections and over 300 enrolled students. In addition to his teaching position, Murphy works as a program manager with the San Diego Unified School District to create supplemental resources for all culinary programs in the district. Currently, he is creating a series of training videos featuring local restaurateurs and chefs on topics such as how to break down a Yellowfin Tuna and new OSHA requirements. Murphy has embraced technology to empower a greater number of students. Murphy also partners with the San Diego Chapter of the California Restaurant Association and San Diego State University to host the “Hospitality & Tourism Conference”. The annual conference brings more than 500 high school culinary students together for behind-the-scenes tours of local hotels, restaurants, and entertainment venues. Murphy will receive his award during the 2019 CA ProStart Cup, being held this Friday and Saturday, March 15-16 at the Sheraton Fairplex Hotel in Pomona. His students from San Diego High School could go home with awards of their own: they’ll be competing for the Cup and for much-needed college scholarships. 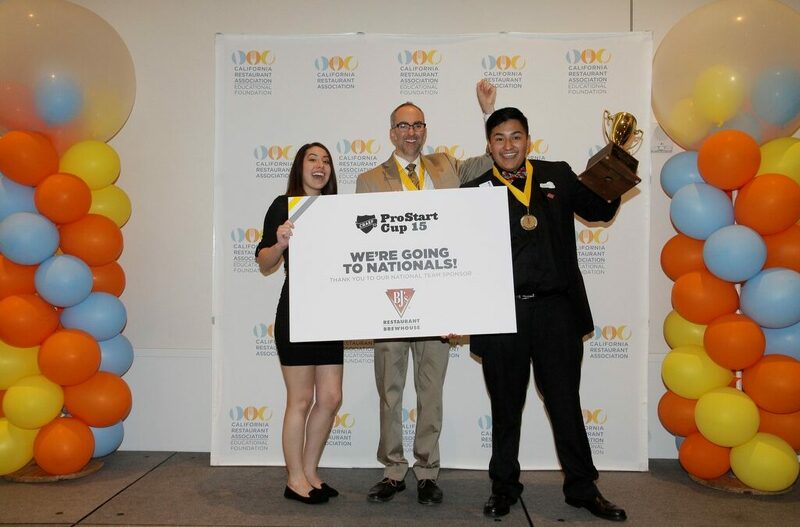 San Diego High School is no stranger to winning – Murphy and his students took home the top prize in 2014 and 2015 CA ProStart Cup. Along with the Educator of Excellence award, Murphy will also receive $2,000 from BJ’s Restaurants Foundation and trip to Washington, D.C. to be honored at the National Restaurant Association Education Foundation Educator of Excellence Dinner on May 10. About the California Restaurant Association Foundation: CRAF has awarded more than $1.9 million in scholarships and grants since its inception in 1981. CRAF empowers the current and future restaurant workforce through ProStart and Restaurants Care emergency grants for workers in crisis. ProStart is a two-year program designed to prepare high school juniors and seniors for exciting careers in foodservice.